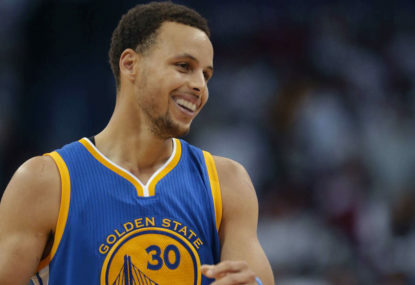 It is tempting to describe Golden State’s NBA Finals victory as a triumph of the style of play popularised by the Mike D’Antoni and Steve Nash Phoenix Suns. Basketball is a game of match-ups and, for the first three games of the NBA Finals, Cleveland’s frontcourt size mattered more than Golden State’s speed and perimeter shooting. The 67-15 Golden State Warriors were huge favorites over the Cleveland Cavaliers in the NBA Finals even before Cleveland’s All-Star guard Kyrie Irving suffered a season-ending knee injury in game one. The Cleveland Cavaliers faced an uphill battle to beat the Golden State Warriors in the NBA Finals even before Kyrie Irving suffered a season-ending knee injury in Golden State’s 108-100 Game 1 victory. 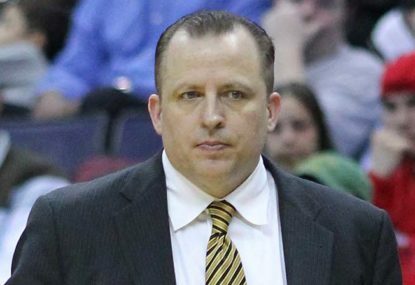 If you are an NBA head coach, you are well advised to keep your resumé updated and to have a moving company on speed dial. 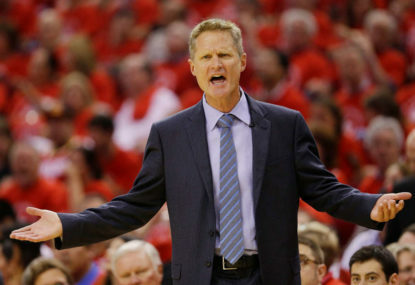 The NBA finals features a match-up of two rookie coaches, Golden State’s Steve Kerr and Cleveland’s David Blatt. How rare is it for first-year coaches to meet for the NBA championship? The last time it happened was 1946-47, the NBA’s first season. Any talk of LeBron James’ decline has been proven somewhat premature. James averaged 30.3 ppg, 11.0 rpg, 9.3 apg and 1.5 spg while leading the Cleveland Cavaliers to a 4-0 rout of the Atlanta Hawks in the NBA Eastern Conference Finals. 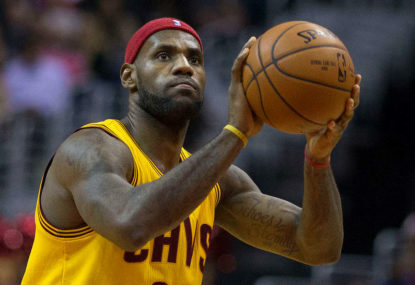 Many people call LeBron James a ‘pass first’ player as if there is something wrong with being a ‘score first’ player. Perhaps this is because Kobe Bryant has often been criticised for shooting too much, and these commentators want to create some kind of narrative contrasting Bryant with James. James Harden finished second in the 2015 MVP voting. Harden is a very good player but not quite as good as his press clippings. Let’s take a look at both sides of the issue. 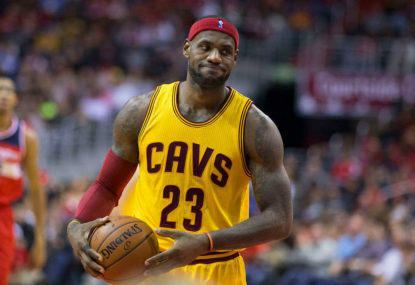 LeBron James is the best player in the NBA and the world, but he is not a one-man team. 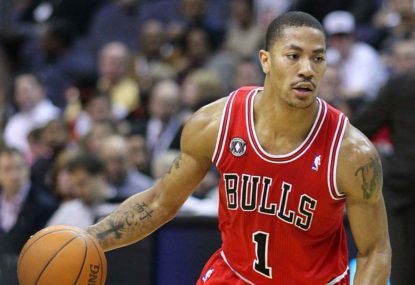 He needed a lot of help to get past the Chicago Bulls in the Eastern Conference semi finals. Larry Bird once said that he did not play to post certain specific statistics but rather he played for that moment when he controlled the game. 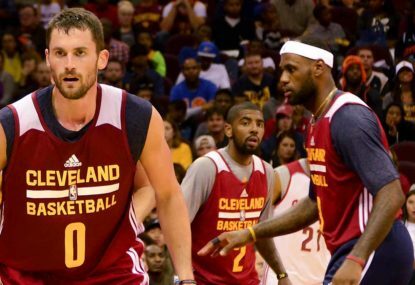 How will the Cavs fare without Kevin Love? Kevin Love has not fit in smoothly with the Cleveland Cavaliers this season. His individual numbers plummeted and it quickly became apparent that he and LeBron James do not have a very good rapport off the court. Strictly speaking, playoff performance has nothing to do with winning the regular season MVP. However, an important aspect of being a legitimate MVP candidate is having the ability to lift a mediocre team into playoff contention and elevate a good team into championship contention. The 2015 NBA playoffs began with two quadruple-headers this weekend and today I’ll focus on some players, trends and situations worth following as the 16 teams are reduced to one champion. Which statistics best predict championship success? There are more basketball statistics, formulas and methods of analysis available now than ever before, but which numbers best predict championship success? I explored this subject a few years ago and it is worth revisiting now with the playoffs about to begin. 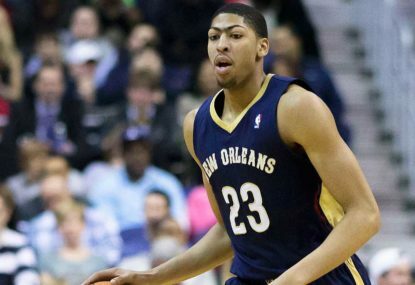 Can advanced basketball statistics really bridge 50 years of NBA history? Say a person can do 20 pushups in a minute. Does that mean he can do 60 pushups in three minutes? Possibly. Does that mean he can do 2000 pushups in 100 minutes? Almost certainly not. 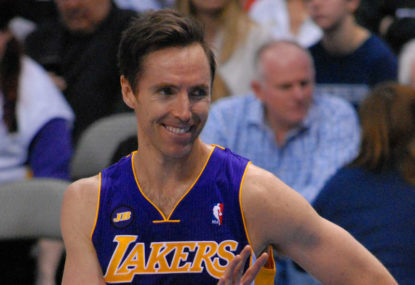 Steve Nash’s recent retirement is hardly a surprise. His body has failed him since he joined the Lakers three years ago, he has not made the All-Star team since 2012 and he has not made the All-NBA team since 2010. LeBron James is an indisputably great player. 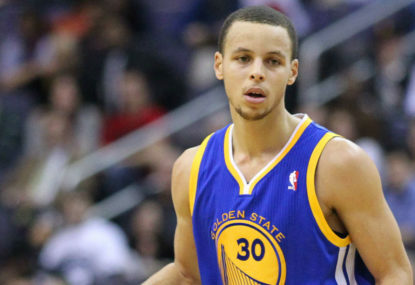 He has been a legitimate contender for the MVP award in virtually every season of his career. James received the honour four times before his 30th birthday and a good case can be made that he should win the 2015 MVP. 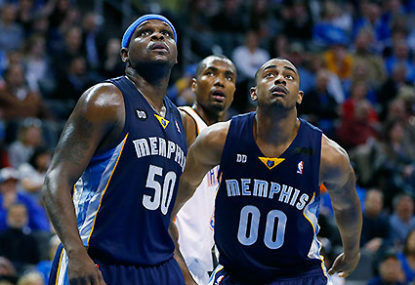 The Memphis Grizzlies own the second-best record in the tough Western Conference. They have the league’s top ranked defence (giving up just 95.7 ppg) and their methodical, low post-oriented offense seems ideally suited for the slow style of play often featured in the postseason. The theory behind tanking sounds good, at least if you disregard the ethical questions about the value of always trying your best and the fraud involved with charging full ticket prices for fans to see teams try to fail. The title does not reflect the point of my article, which is that Mozgov should be given more minutes precisely because he is playing so well. I understand your point but I think that there is something to be said for making Golden State match up with Mozgov as opposed to just going small when Golden State goes small. Golden State has repeatedly made late game runs with Mozgov on the bench. Maybe this would have also happened with Mozgov in the game but I am not so sure about that . 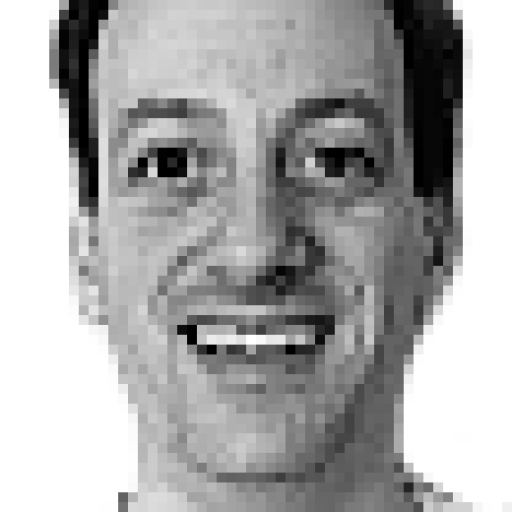 Winning a title in Cleveland would be huge for the city and have tremendous symbolic value. However, the Fumble, the Drive and other Cleveland sports debacles are not relevant when comparing LeBron to Russell, Jordan and the other greatest basketball players of all time. Magic played with more HoFers than LeBron but he also faced teams with more HoFers. Would a win against this year’s Warriors mean more than beating Boston in Boston in game seven in 1985? I am not sure how to make such comparisons. I agree that if the Cavaliers win then this adds to LeBron James’ legacy but his legacy must be considered in context with the players with whom he is being compared. If the Cavaliers win this series then LeBron would be 3-3 in the Finals. Magic went 5-4 while facing Bird, Doc, Isiah and MJ. I would still take Magic’s Finals resume over LeBron’s at that point. Regarding the caliber of LeBron’s current teammates, it is true that several of them came from bad teams but that does not mean that those players lack talent. J.R. Smith has won the Sixth Man of the Year award. Shumpert has battled injuries in the past but is known as a very good defensive player. Mozgov is a skilled big man who perhaps was not used properly before. Tristan Thompson is a relenteless rebounder. Dellavedova is a tenacious defender. None of these players are stars but they are all good NBA players who are capable of filling the roles that they have been assigned. The Cavs have lost offensive firepower due to injury (Irving, Love) and they obviously have lost depth (their rotation has been shortened) but they have gained some defense and tenacity. 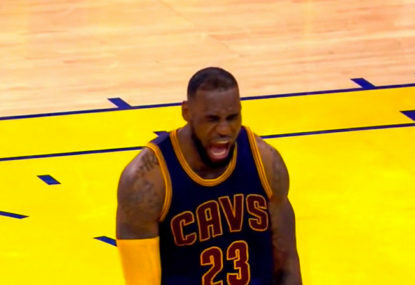 Cleveland indeed won game two but it hardly was the product of “extra calls.” If anything, many of the late calls went against LeBron: Iguodala hacked him multiple times and Green twice pulled his arm down during jump balls. Van Gundy said something to the effect that he has never seen a star player get less of a benefit of the doubt on calls than LeBron James. I don’t know if that is true or how to prove it but there is not much evidence supporting your specific prediction that the NBA and/or the officials would make sure that Cleveland wins game two. If that outcome were so vitally important to the NBA that it would cheat to achieve it (which is in essence what you are asserting) than why would the officials let Cleveland’s late lead in regulation completely disappear? Did that not risk the complete collapse of the alleged conspiracy? All the officials had to do was call one or two pretty obvious calls in Cleveland’s favor and we would be none the wiser. Every championship that a player wins as the primary factor or as a significant contributor enhances his legacy. When Jordan had won one, two or even three championships he was still not perceived in quite the same way that he was after he added the second three-peat to his resume. I have included LeBron James on my list of greatest players for several years, dating back to before he won his two championships. I did a series of articles about what I called basketball’s “Pantheon,” namely the 10 greatest retired players, and in the final article of that series I discussed which active players had the best chance of joining the Pantheon. I included LeBron James in that group. However, within the group of the elite of the elite, I hesitate to place James at the very top of the list. If James leads the Cavs to the 2015 championship then that is one more piece of evidence to suggest he could or should ultimately top the list but it would not be conclusive proof. James would then have a 3-3 Finals record. Russell went 11-1, Jordan went 6-0, Kareem went 6-4, Duncan went 5-1, Kobe went 5-2, Magic went 5-4. So, even if James wins this year there will still be several elite players who won more championships and had a better Finals winning percentage to boot. It is also worth mentioning that if you count ABA championships–and there is no reason not to count them–Julius Erving went 3-3 in his six Finals appearances. Championships and Finals winning percentages are not the only things to consider when ranking the best of the best but I do think that they are important things to consider. I am sorry that you are so distressed by my fact-based responses to your criticisms. I respond civilly and in depth to anyone who comments on my work here or at 20 Second Timeout. I support my opinions with facts and logic. I may be wrong (and I have been wrong at times, like everyone else) but I am not deliberately leaving out information or distorting facts. Saying that I am adds nothing to the discussion and is a personal attack. As I indicated, it is difficult to carry on a conversation with someone who does not even have the basic facts straight. You cited a wrong number in terms of Harden’s games with a negative plus/minus, I corrected you and you went right back to the wrong number and used that wrong number of games as the major basis for your point in that comment. Anyone can make an honest factual mistake but when someone keeps getting the facts wrong after being corrected then what is the point of continuing that conversation? It seems like you cannot even take five minutes off from your years of incessant Harden advocacy to acknowledge how horribly Harden played and how the way that Harden played horribly corresponds exactly with what I have been predicting and saying. Do you really think that Harden’s performance in the WCF–combined with his performance in the 2012 Finals and his performances in Houston’s first round losses–refute my notion that he is not good enough to be the best player on a championship team? Even if I am ultimately proven wrong, how can you say that my prediction/analysis is biased? Based on what Harden has done, what I am saying is quite reasonable. I don’t think that Houston beating a feuding Dallas team and narrowly squeaking by the Clippers (with Harden on the bench in the fourth quarter of the sixth game with the Rockets facing elimination) refutes what I have written or outweighs Harden’s evident and ongoing skill set weaknesses. It is too bad that you do not feel comfortable discussing this issue in a fact based way and instead resort to incorrectly citing facts. I have said for three years that Harden is a very good player but that it is unlikely that he is good enough to lead a team to a championship because of his poor defense, his inability to consistently shoot a good percentage from the field against elite competition in the later rounds of the playoffs (if he can even get that far; he has only done so in one of three years in Houston) and his, at times, sloppy ballhandling. In other words, objectively speaking as a basketball analyst, I pretty much nailed it. Your comment is rather “mind boggling” considering that Harden is coming off of a 2-11 shooting performance with a playoff record 13 turnovers. Considering that two of my main critiques of Harden as an alleged franchise player is that in the later rounds of the playoffs he would shoot poorly and turn the ball over one might think that before launching into a diatribe that misrepresents what I have written in the past you would at least acknowledge that I pretty much nailed Harden’s weaknesses. Maybe Harden will improve, maybe a lot of things will happen but right now Harden sure does not look like a guy who can lead a team to a championship. Playing high minutes, scoring a lot of points and the other things that you mentioned do not prove that a guy is a franchise player. Franchise players typically do those things but there are examples of players who do some of those things who are not franchise players. As for the 25-5-5 point that you keep hammering home, I am glad that my article made such an impression on you. I just wish that you had read it more carefully. I stated in the article that all of the players who had put together such seasons had made the All-Star team at least four times and that many of them were MVP caliber players. I did not say that every player who put together a 25-5-5 season was an MVP caliber player and I certainly did not say that every player who would do so in the future is an MVP caliber player. During Alex English’s 25-5-5 season he did not make the All-NBA Team nor did he receive any MVP votes. Stephon Marbury had more 20-8 seasons in a row than anyone other than the Big O and that stat tells us nothing about Marbury’s true value. You were so anxious for Harden to have a 25-5-5 season that you actually rounded up his numbers one year just to say that this “proved” Harden’s value. Now that Harden has actually done it you act like this is some indictment of my player evaluations. Harden is a very good player but he has offensive limitations and he is bad on defense. He can get away with that during the regular season but he will continually be exposed in the playoffs. He had horrible games in every round of this year’s playoffs and he was horrible in exactly the ways that I predicted he would be. Plus/minus is useful in context. During the 2015 playoffs, the Rockets consistently did better with Harden on the bench than they did with him in the game. The eye test shows this (game two versus Dallas, game six versus LAC, etc.) and the plus/minus confirms what any unbiased observer can see. Even before Harden played a game for Houston, I compared him to Ginobili, who made two All-Star teams and two All-NBA Third Teams. You are intentionally exaggerating and distorting what I have written with your faulty references to my 25-5-5 article and by saying that I called Harden barely All-Star caliber. For someone who is not a Harden fan, you sure get fired up about defending him. Would you be so quick to defend any other NBA player who shot 2-11 with 13 turnovers in an elimination game? You sound like Harden’s biggest fan in the world, other than maybe Ryan. I agree with you that the MVP narrative may have passed James by, which is a shame. I have always thought that the MVP should go to the best player, not the so-called best story. Guys like Bryant and James and even Jordan have all been shortchanged in the MVP voting because the media wanted to recognize a story as opposed to voting for the best player. No, I am sticking with the Warriors. Your delineation of the three stages of LeBron’s career is also a good one. I just think that after LeBron led the Cavs to the Finals and got swept, the expectations changed. Also, that series put LeBron’s weaknesses (tendency to play passively against elite opponents at times, inconsistent perimeter shot, inability and/or unwillingness to post up) on display. It took a while for James to address those weaknesses, so even though he emerged as the league’s best regular season player and won several MVPs he still lacked what it took to win championships (which is why the Celtics, Lakers and Mavs won titles from 2008-2011). You nailed it with this remark: “Part of being a valuable championship-level player is consistency, and this is yet another example of an epic Harden flameout in the playoffs. The game 6 performance will count as evidence that Harden can’t be even the second-best player on a championship team.” I actually think that Harden could be the second best player on a championship team but you are right that his inability to be consistent at the elite level is a major reason to not rank him quite as highly as some people do. That is one of the major points that I have been trying to get across but I feel like a few people are not paying attention to what I am actually writing and are instead just reacting emotionally. Thank you for taking the time to read the article and for offering your perspective. I agree. I would like to stick to discussing the facts and how to interpret the facts but when facts are being misquoted it is difficult to have an intelligent discussion. The subject is actually a very interesting one to discuss, touching on analytics, player evaluation methods, the eye test, etc. You misunderstood something I wrote, so I cited a longer article to better help you understand my point, but since you admit that you comment without reading I now see that it is pointless to respond to your trolling. How many MVP caliber players have put up a line like that in an elimination game? Maybe I am wrong about Harden but your overzealous comments and refusal to even put serious thought into what I write hardly proves that I am wrong. One last point: I never said that plus/minus is the be all/end all statistic. I do think that it is strange that Harden has the worst plus/minus of any of the MVP candidates from this season who made the playoffs except for Davis, whose team was obviously outclassed in the 1-8 matchup. You never attempted to explain why Houston has thrived in the playoffs with Harden on the bench or why Houston did better in the playoffs this year than in the previous two years. Either Harden has improved a lot or else some other factor is relevant. I believe that Howard being a dominant force is that other factor. Did you watch the first quarter of the game? Howard dominated on offense and on defense as Houston took the early lead. The commentators noted that he looked like the Howard of old and that Harden was forcing the issue and trying to “thread the needle” on passes instead of making the plays that were there. That was a very prescient comment considering that Harden ended up with 13 turnovers. You like to say that I am cherry picking games or stats but look at what Harden did in the playoffs. Yes, he had some good games and even a great game or two. I would expect that from someone who I have repeatedly called a very good player. But he also had one or more clunker games in each and every series. He was a nonfactor in the fourth quarter of game two versus Dallas with homecourt advantage at stake. He sat the bench in game six versus the Clippers with the series on the line. He was awful in games three and five against Golden State. Also, even though he played well in game two versus Golden State, he did not want the ball at the end to take the last shot. He passed to Howard at the top of the key, the one area where Howard cannot do anything. Kobe would have taken that shot, make or miss. So would Durant and Westbrook and Chris Paul and the other players who I rate above Harden. The evidence that Harden is very good but not as good as many people say is right in front of you. You just choose to ignore it. Between turnovers, missed shots and times failing to get back on defense, Harden is heading for a triple double tonight. Meanwhile, Howard has 14 points, 12 rebounds and four blocked shots. The Warriors missed the first six shots that they attempted in his vicinity. Thompson grabbed his arm to foul him on a dunk attempt and he nearly put Thompson in the basket with the ball. But, no, having a dominant big man who plays at both ends of the court means nothing and could not possibly be the reason that the Rockets advanced passed the first round after two years of Harden firing bricks and turnovers in the playoffs. I was surprised about Harden’s performance in game seven and I have already said so. I never said that his 31 points meant nothing. I have said that Howard’s performance throughout the playoffs is very significant. I wonder why the few diehard Harden fans here are so reluctant to credit Howard for anything. I never said that all of my predictions are right. I even said that I might be wrong about Harden. I just don’t think that my predictions regarding Harden and the reasoning underlying those predictions are as outrageous as a couple vocal commenters here are suggesting. Harden is 2-8 from the field with 10 turnovers right now in an elimination game. I am sure that this too somehow proves his enduring greatness. There was a time when everyone thought that the Sun orbited the Earth. Appeal to authority, without facts and logic, is about the worst possible argument to make. When the players had the MVP vote before it was given to the media, they voted Rick Barry fourth because, well, a lot of players did not like him. That was the year that Barry was a one man wrecking crew and almost singlehandedly led GS to the ’75 title. Nash was a popular choice in 2005 and 2006 but, in retrospect, many people realize that Shaq, Kobe or even LeBron probably were the right selection–but Nash was a good story and so the media chose him. Kobe set all kinds of records and took a garbage team (Smush at pg, Kwame at center, etc.) to the playoffs but the media barely put him in the top five because, well, a lot of media members did not like him. Awards mean something and the media gets it right a lot but sometimes the media is wrong. It is a good skill to be able to think and analyze for oneself and not just parrot the popular notions of the day. With all due respect, I am not going to repeat my numbered, in depth and very specific refutations of your points. Feel free to reread them if you did not grasp them the first time. In summary, though, your “refutation” consists of misquoting me, misunderstanding what I wrote, factual errors (your plus/minus data is wrong, as noted above) and your opinion bereft of supporting facts. When OKC let Harden go, I predicted that OKC would not miss him (if they kept Ibaka and they did) and that Houston would not be a legit contender unless Houston picked up a franchise player to lead the way, with Harden as the number two guy. A franchise player does not have to be the leading scorer. Consider Bill Russell and Bill Walton. So, what has happened since I made my two predictions? OKC let Harden go and did not miss a beat until Westbrook went down in the 2013 playoffs. That is a fact. OKC gave up this supposedly foundational player, replaced him with Kevin Martin and did not get worse. After Westbrook returned in 2014, OKC was right back in the WCF, where they lost to the eventual champion Spurs. OKC went down 0-2 sans Ibaka and played the Spurs even the rest of the way. This year, Durant, Westbrook and Ibaka all missed significant time. 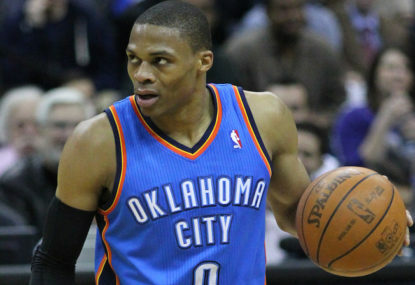 Westbrook, essentially by himself, carried OKC to 45 wins. If you think that OKC’s 2013 and 2014 regular season success and 2014 WCF appearance after Harden departed prove that OKC missed a beat after letting Harden go, that’s OK. That is your opinion. I have a different opinion. Let’s look at my second prediction. 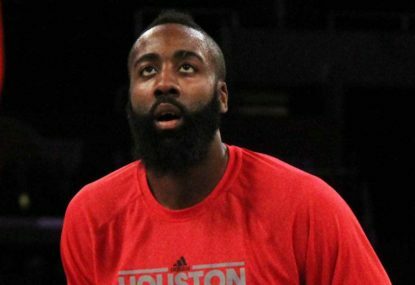 In Harden’s first two years in Houston, the Rockets lost in the first round twice. He shot much worse in the playoffs than in the regular season, as I predicted. In year three, Harden performed at about the same level as the first two years in the regular season. The Rockets gave up Parsons, which I thought was a mistake but I was wrong. Ariza, Smith and some of the other role players performed very well. That collective effort overcame Howard being injured/absent for about half of the season. Houston was bouncing around between second and fifth in the West. In the last week, Howard came back, the Spurs lost a big game and all of a sudden Houston had the second seed in a tightly bunched West. Houston had homecourt advantage against Dallas but game two was in doubt heading into the fourth quarter. The Rockets prevailed in the wake of Smith and Howard hooking up for six lob dunks in the final stanza. Without Howard and Smith, do the Rockets win that game or do they blow homecourt advantage? Based on Harden’s record/performance in the previous two playoff years (and his disappearing act in the 2012 Finals, his last series with OKC), this is at least a valid question to ask. 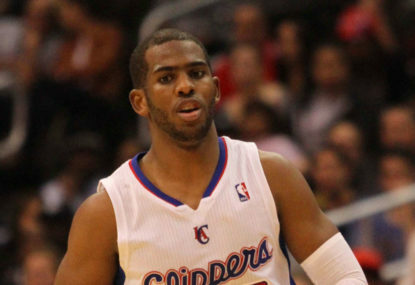 Houston drew LAC in the second round, with Chris Paul hobbling. LAC promptly took a 3-1 lead, a lead that is usually all but a lock in the NBA. In game six, Houston trailed by 19 with 14 minutes to go. Harden had shot 5-20 from the field at this point. There was every reason to think that he and Houston were going down in flames. Then, McHale benched Harden, the Rockets staged a miraculous comeback and then won game seven at home. Harden was great in game seven–but he was lousy in game six and he was bailed out by his teammates. That series told me more about LAC than it did about Harden. You may disagree. On to the Western Conference Finals. Harden put up good numbers in the first two games but not quite good enough. Down 0-2 coming home, the Rockets had to win game three. Win game three and it is still a series. Harden was awful and the Rockets lost. Harden was great in game four but you know what? Most teams down 0-3 win game four. Look it up. Teams don’t want to get swept and the team up 3-0 has a natural letdown. Harden’s game four was possibly the best game I have ever seen him play–but unless Houston does something that no team in NBA history has done (come back from 0-3 to win the series), it is not that meaningful in the big scheme of things. Maybe Harden will gain so much confidence from that game that next year he will lead Houston to the title, but for now, the predictions I made and the outcomes that have occurred are not so out of whack as you seem to think. Harden is a very good player and if Howard can play all next season like he has played in the playoffs then I would say that Houston could be a contender; that is basically what evolved in this year’s playoffs and we’ll see if Houston can play the same way next year. You are a funny guy. Go back through your numbers and you will see that Harden has had eight negative games, not seven. I pointed this very simple error out before and you still want to argue about it. If you cannot get even the most basic facts straight there is not much basis for further discussion. Enjoy the games and thank you for taking the time to read and respond. Smith played a key role on several Atlanta playoff teams. He was a poor fit in Detroit but he complements Howard very well in Houston. He has definitely had an impact during the playoffs this year. You brought up the Spurs, Dallas and Portland, not me. You asked if their best players are not valuable because their teams lost in the first round. I am not saying that and neither is anyone else. What I am saying is that Harden is not necessarily better than their best players just because the Rockets made it past the first round this year. Ibaka was not “slightly hurt.” He missed the first two games of the WCF that year and probably was not in condition to come back at all. If OKC is a mess, it is not because Harden left. Durant, Westbrook and Ibaka being injured is kind of a big deal, don’t you think? When those guys were healthy, OKC had the best record in the West even without Harden. They also made it to the WCF the next year. Unless Harden’s departure mysteriously caused all of those injuries, I am not buying that OKC is a mess because Harden left. OKC also only missed the playoffs by one game despite all of the injuries this season. So, you have talked to all of the coaches and GMs and you know exactly what they think? Apparently, OKC disagrees with you, because Harden never started over Durant or Westbrook and was always the third option. OKC drafted him and knew his potential, yet felt that it was more important to keep Ibaka as a defensive anchor–and that decision looked great up until the moment that Patrick Beverley crashed into Westbrook’s knee. I disagreed for years with the conventional wisdom about Kobe and events proved me right in the long run. I also have disagreed with conventional wisdom about Carmelo Anthony, Gilbert Arenas and even about Kevin Love versus O.J. Mayo as draft prospects (Mayo was pumped up but I said he was overrated and that Love would be a better pro). So, I don’t mind going against conventional wisdom if I have good reasons to do so and I am patient enough to let events prove me right in the long run. Of course, I have been wrong about some players and teams as well but overall I think that my track record is pretty good. If Howard had been completely healthy all year, yes I think that Houston could have won more than 60 games. I have said for years that, when healthy, Howard is good enough to be the best player on a championship team. Regarding LeBron James, I have criticized him for being too passive and I have also noted his lower than usual field goal percentage this postseason. That said, LeBron just nearly averaged a triple double as his Cavs swept a 60 win team in the Eastern Conference Finals. LeBron has been the best player on two championship teams and five NBA Finalists. Harden’s postseason resume at that level consists of being the third option for OKC and, to this point, getting eviscerated by Golden State. So, yes, I think that LeBron James has been more valuable than Harden during this postseason and James also has a much better career postseason resume. If LeBron James is the best player on the team, if he has any kind of supporting cast and if he plays aggressively then his team has a great chance of making it to the Finals. Those things are not true of Harden. Harden has a negative plus/minus in eight of the Rockets’ 16 playoff games. I don’t know what Ryan or you are talking about. Ryan made so many bogus points that it was time consuming to refute them all. Sorry if I missed refuting that one point, but now you have the correct information. We can even look a little deeper. In four of the Rockets’ nine wins–including most notably game six versus the Clippers–Harden’s plus/minus is less than the margin of victory, meaning that the Rockets did better when he was on the bench than when he was in the game. When I say that Harden is overrated because of his skill set limitations, you and others say you want to see stats. When I cite stats showing that during the playoffs the Rockets are doing better without Harden than with Harden you say that I am cherry picking games. Well, there are only 16 playoff games from which to choose. My prediction about Harden when he left OKC primarily related to the playoffs, so those are the games on which I will focus. I never said that Harden would not put up regular season numbers or that Houston would have a bad regular season record. I said that if he were Houston’s best player it would be difficult for Houston to win a championship. Since I said that, they lost in the first round twice and now they are getting waxed in the Western Conference Finals. Houston’s playoff run past the first round this year has been fueled by Howard, Smith, Ariza and the supporting cast. Is Harden contributing? Of course he is. He is a very good player and he is having the best postseason of his career. Is Harden carrying the Rockets in terms of wins and losses? No. Harden has been unproductive in several games and even in his productive games the numbers show that the Rockets do just as well or better with him on the bench. Those are facts. You may think that there are mitigating factors surrounding those facts but they are facts. They are not my opinions. Maybe your guy will keep improving. Maybe Morey will keep adding good players around Howard and Harden. Maybe I am just flat wrong. But I don’t see evidence showing that what I predicted is so unreasonable or has been refuted. Every 2015 MVP candidate who participated in this year’s playoffs has a better plus/minus number than Harden except for Davis, whose team was first round fodder. Maybe that means nothing. I think that it is evidence that in the postseason, when the games count the most, Harden is not as good/impactful as some people think. If you think that I am cherry picking games or focusing on irrelevant stats, I would be interested to know if there are any MVPs or MVP caliber players who went through an entire playoff run on a top four seeded team who had a negative plus/minus through more than a dozen playoff games and who sat the bench more than once during that playoff run while their teams made key fourth quarter runs. Harden’s fans just look at his per game averages and say that since he has a lot of points and a lot of assists he must be valuable. I am saying let’s look a little deeper and try to figure out why Houston won those first two playoff series. Harden put up numbers in the last two years in the playoffs and Houston lost. 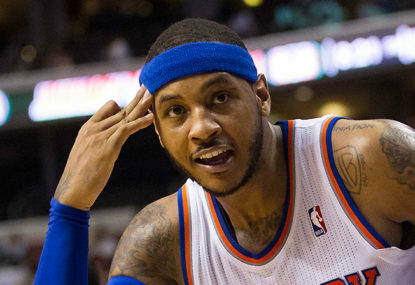 Part of the problem–if there is a problem–is that the playoffs are still happening. So, I write an article after Harden plays terribly and the Rockets fall into an 0-3 hole and then Harden has a 45 point game. I’ll admit that I did not think that Harden would have a 45 point playoff game with that kind of efficiency. On the other hand, unless we believe that the Rockets are going to mount an unprecedented comeback from 3-0, all Harden did was extend a lost cause. It is impressive to score 45 points efficiently in a playoff game at any time against any opponent but Houston really could have used that at some point in the first three games. There was more pressure during those games because the series was still up for grabs. I meant to reply to some of your comments earlier. Sorry about that. I have said that Harden is a very good player. I compared him to Manu Ginobili, who earned multiple All-Star and All-NBA nods. I think Houston only did slightly better with Howard than without Howard because Howard was not completely healthy. Also, Josh Smith was added to the mix later in the season. Morey has actually done a very good job of building up the roster around Howard and Harden. We are seeing the results of that in the playoffs. OKC improved in the season after Harden left. They were very possibly on their way to back to back Finals appearances. Then Patrick Beverley took out Westbrook. That has nothing to do with Harden’s value. Regarding the .450 FG% standard, it is the same standard I applied to Kobe, LeBron and other wing players trying to lead teams to titles. I think that for a wing player to lead a team to a championship he needs to shoot .450 from the field or better. I may be wrong but I am not evaluating Harden any differently than I evaluated Kobe and LeBron. Did anyone from SA, DAL or POR get pumped up like Harden in the MVP voting? If someone said that Lillard or Parker or Ellis should be in the running for MVP I would argue against it the same way that I argued against Harden. In fact, during the 2007 Finals I wrote that Duncan deserved the Finals MVP over Parker, for much the same reasons that I now value Howard over Harden. In general, dominant bigs win NBA titles, though Kobe and LeBron are notable recent exceptions. If Harden were described as a very good player who is comparable to those guys I would have no problem with that at all. Lillard needs Aldridge, Parker needs Duncan and Ellis needs (young) Dirk. I think that Curry had a bad game and that GS played worse with him on the court than off. In that sense, yes, Curry was part of the cause of GS losing. GS also has a 3-1 lead and Curry caused that as well. So, I will give Harden credit for one game and “blame” for the other three if that makes you happy. I think that the way GS defended last night, Houston probably could have won without Harden putting up 45. Nevertheless, Harden played a great game and he played better than I ever thought he would likely play in a playoff game. Your hypothetical sideline conversation was very funny. On a serious note, I think what actually happened was that after Harden played like garbage for three quarters, McHale sat him down, the team played well without Harden and McHale stuck with what worked. I have repeatedly said that Harden is a very good player. I never said that he should be benched in the last minutes of a close game or that he should be benched when he is playing well. Your satire is funny but does not address anything that I actually said. It would be interesting to hear an explanation of why, if Harden is so valuable, he can be replaced (by Kevin Martin in OKC for an entire season and in multiple fourth quarters of playoff games) without problems.